Recipients will be selected from applications based on an objective and nondiscriminatory basis based upon the standards below. Recipients will be selected from qualified applicants regardless of race, colour, religion or sexual orientation of the applicant. The recipient must be under nineteen (19) years of age. The recipient must reside in Canada. The applicant must submit the Application Form found at the bottom of this page. The applicant must provide documentation of their financial status (NOA) – this documentation will be requested after the application form is submitted. 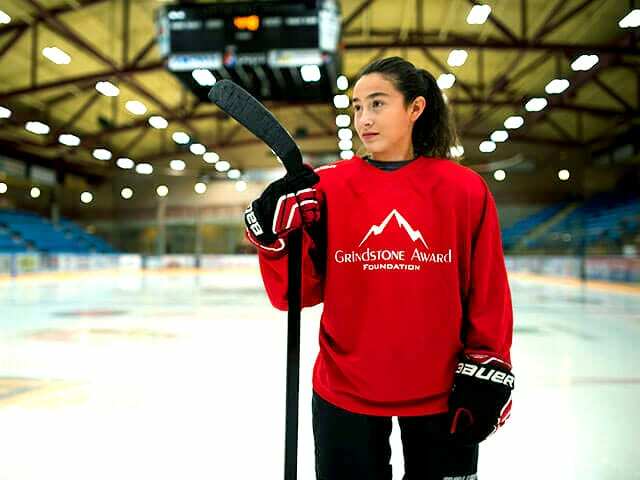 THE GRINDSTONE AWARD FOUNDATION IS PROUD TO WORK WITH OUR SPONSORS TO PROVIDE OPPORTUNITIES FOR YOUNG ATHLETES. The foundation will keep complete records of all grants awarded. These records will include application information including supporting documentation provided by the applicant, along with the amount of each grant awarded, and any additional information. This information will be kept confidential, and only the Board of Directors will have access to such information. Determination of financial need will be based on receipt of family tax return (copies of previous year’s NOA), and will be assessed by the Board of Directors. Determination of financial need will take into account the family’s financial situation (number of children, debt, other financial aid, etc). Determination with respect to ability and character will be based on facts deemed pertinent by the Foundation. The applicant will not be chosen on ability, rather conveyed desire to play, and character qualities described by the applicant in the application form. The Grindstone Award Foundation intends to award up to a minimum of thirty (30) grants per calendar year depending on the number of qualified applications received, and contributions received. Our goal for the 2019-2020 season is fifty (50) grants. The amount of grants awarded may vary from year to year. Grants are non-renewable.